Training is currently being held at Kerr Park on Tuesdays/Thursdays starting at 7pm. Please join the TEAMER APP to receive notifications and updates on trainings and matches. HURT SEVENS TRAINING HAS BEGUN! 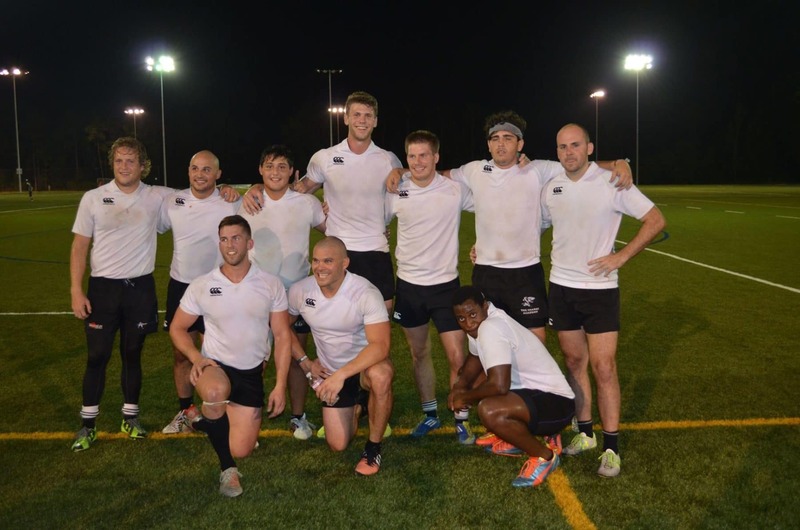 Join us at the HURT Rugby Sevens Combine on May 29th from 6:30-8:30pm. This is an open event and will be used to evaluate player’s experience, fitness, and commitment level. 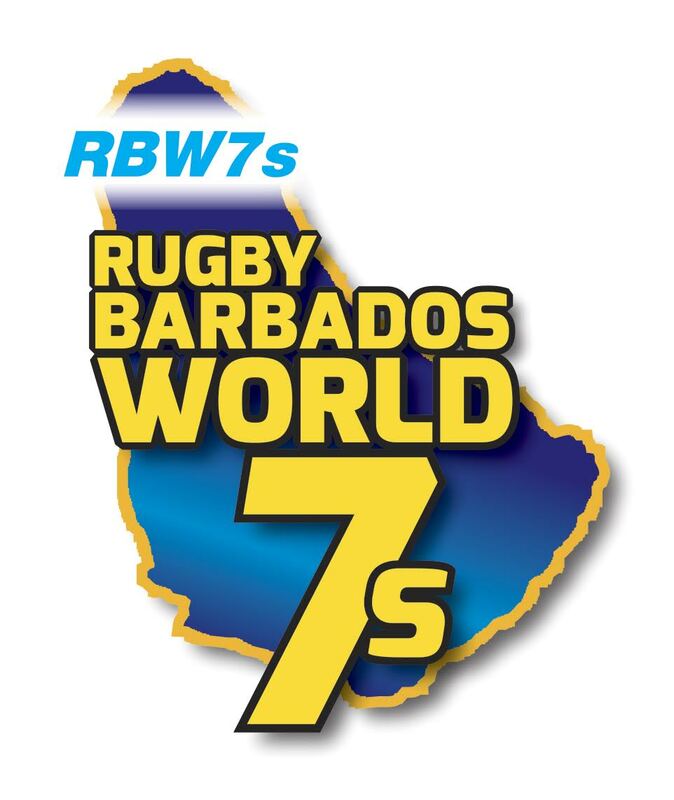 Numbers permitting, HURT Rugby Sevens will field a competitive and social side with the goal of qualifying for Nationals. HURT welcomes all experience and fitness levels to attend the event. 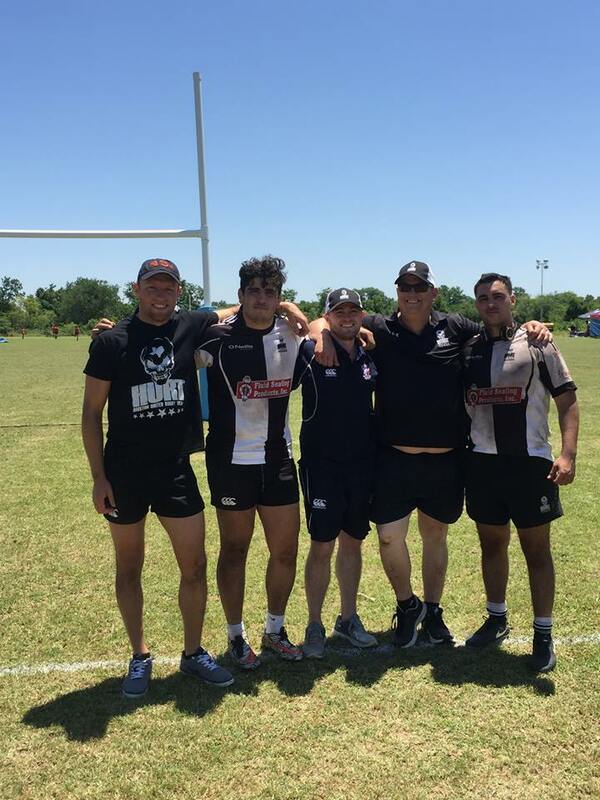 Our goal is to not only compete at a high level, but to grow the game of rugby in the state of Texas. We look forward to seeing you this summer! Please contact HURT’s Director of Rugby, Zachary Hiller, if you have any questions or you are unable to attend the event via message or email: zhiller@gmail.com. HURT AND HENCHMEN ARE PLAYOFF BOUND! Playoffs are in Austin May 5th & 6th. Details to follow. 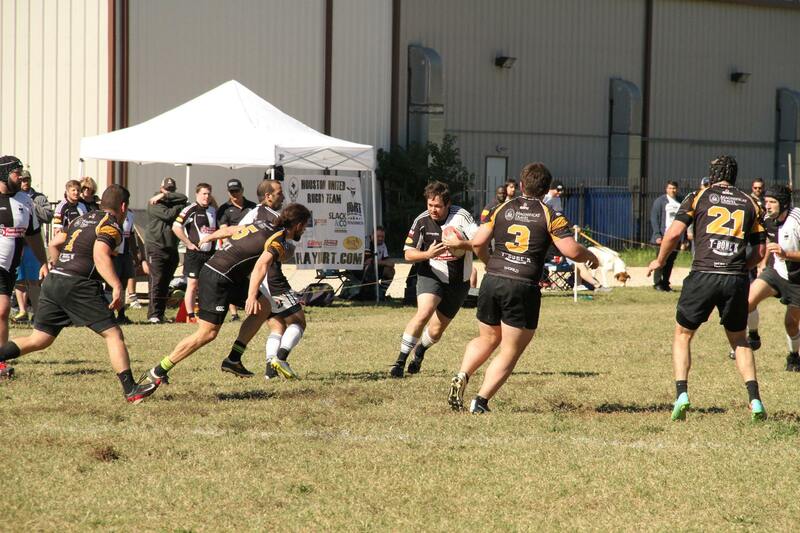 HURT’s second side, the Henchmen, will battle Galveston RFC on April 14th to keep their playoff hopes alive. 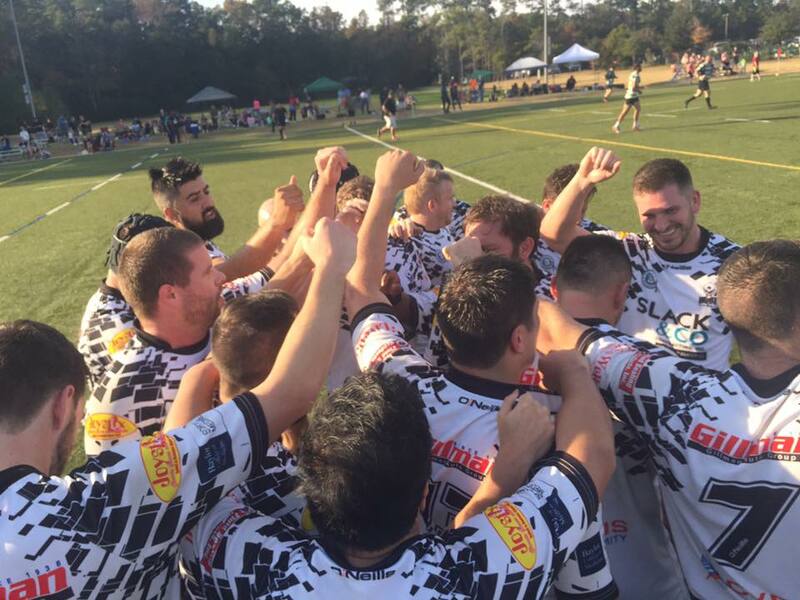 (D2) HURT: After a heart-breaking loss vs. the San Marcos Greys RFC in late February, HURT needed to pull-together some much needed wins to stay in contention for the South Division. 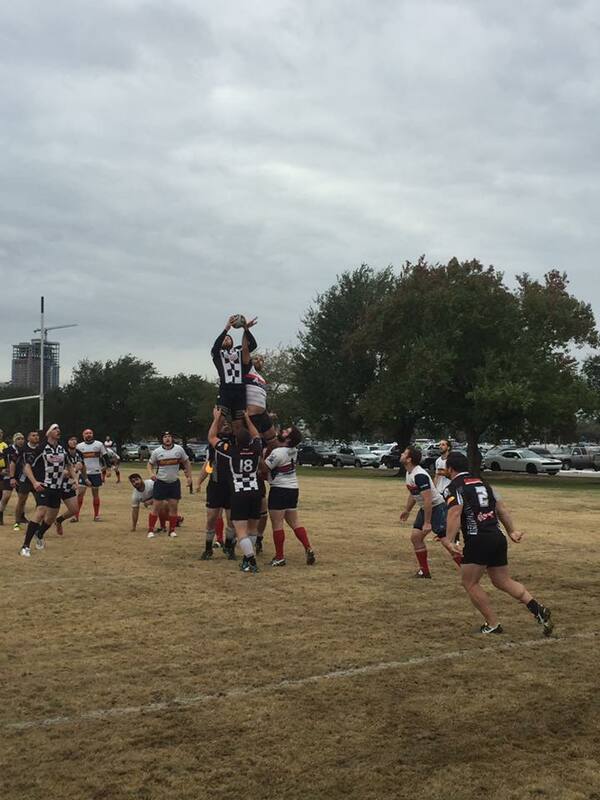 It was a tough task considering their opponents: San Antonio Rugby F.C. and The Woodlands Rugby Club. HURT rose to the occasion and pulled out a gutsy win versus a physical San Antonio team with a final score of 49-36. A couple weeks later, HURT was also able to defeat a formidable Woodlands club 54-26 to improve their record to 5-2-1. 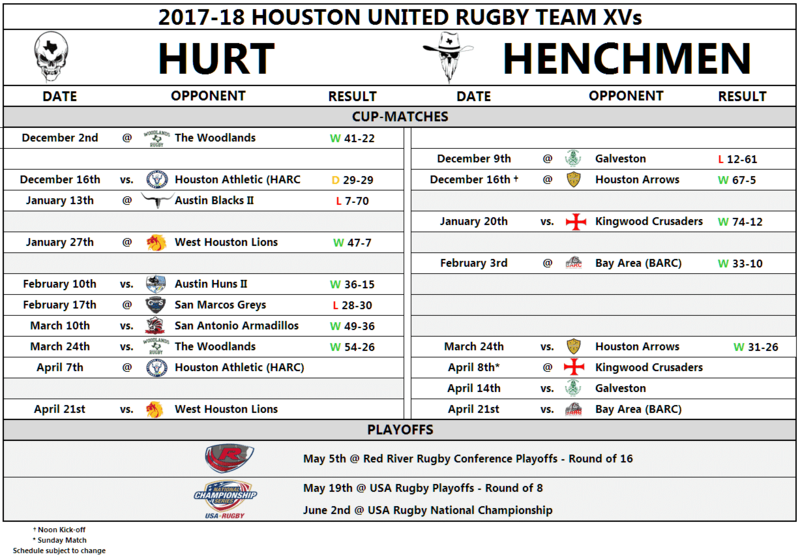 With the current standings, HURT will clinch the South Division crown with one more win; however, they will have to go through a very tough Houston Athletic Rugby Club – HARC and West Houston Rugby Club to do so. 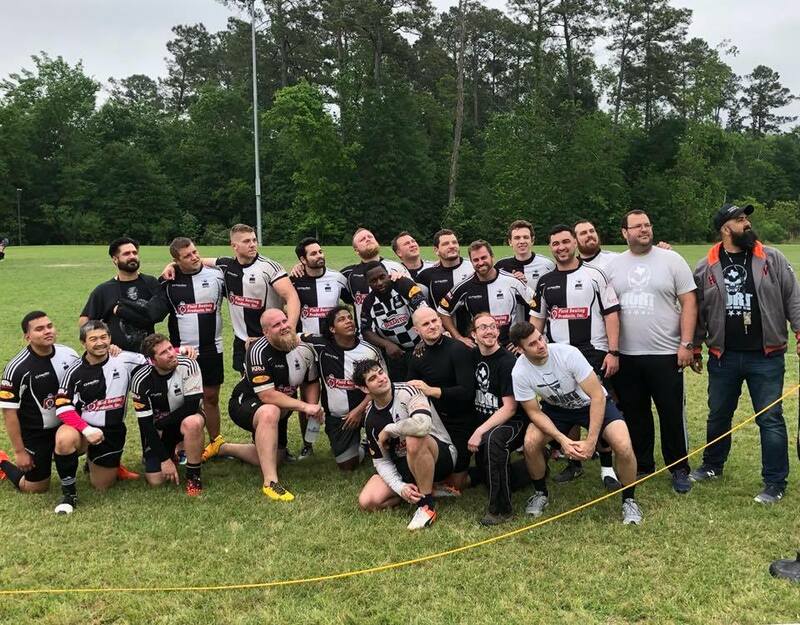 (D3) Henchmen: The Henchmen faced off vs the Arrows RFC in their only match since early February. Thankfully, for some late game heroics by the back-line, the Henchmen were able to pull out a win and keep their playoff hopes alive. Three matches remain for the Henchmen and they will need all three W’s to clinch a playoff spot for May. There are 5 matches remaining between the HURT and the Henchmen; all with playoff implications! Should be one hell of a ride to the finish! 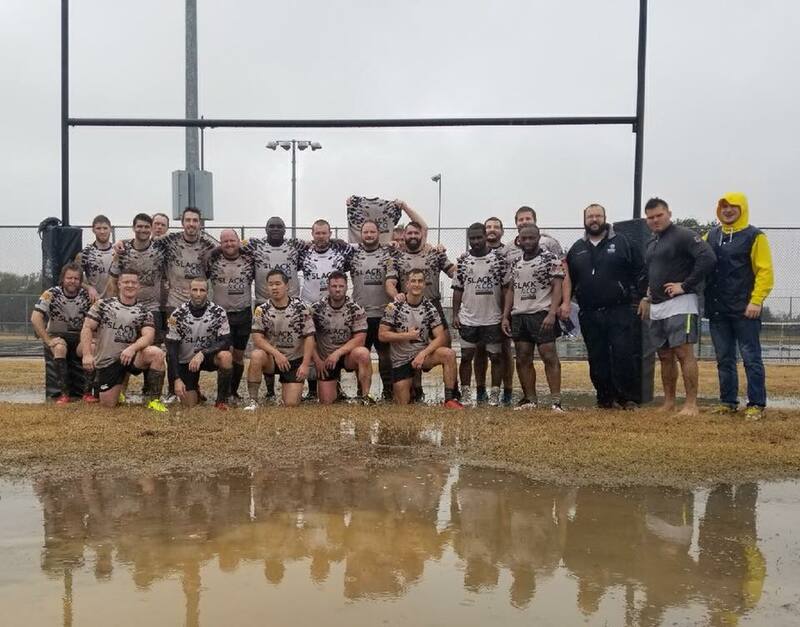 For the second straight year, HURT and the West Houston Lions battled it out on a drenched field during a torrential downpour of rain. Special thanks to the Lions for hosting the post-match at Wildcatter Salon. Photo credit to Lisa Griffis. Big shout outs to roy carrillo and Colin Harper for playing 120 minutes each today. 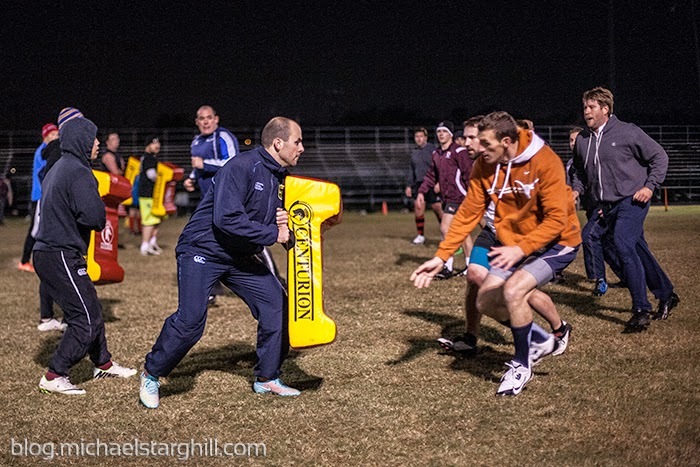 Training will resume Tuesday (12/12) and Thursday (12/14) at Kerr Park from 7pm-9pm. This weekend is a doubleheader with Henchmen vs Arrows and HURT vs. HARC cup matches! See you at training and this weekend! Tonight’s training (12/7) has been re-located to 8th Wonder Brewery(East Room) and will be a film session due to inclement weather. The City of Houston has closed all fields for tonight. 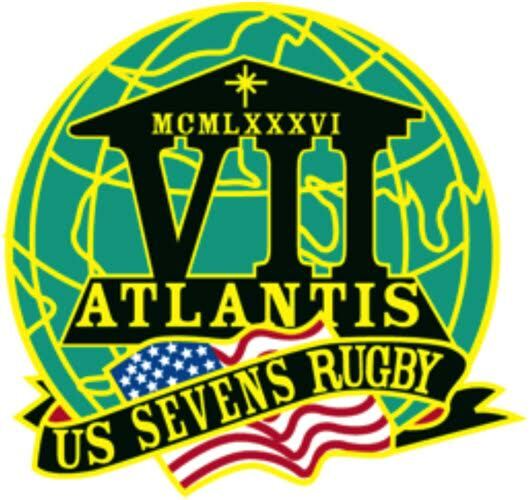 HURT’s Alex Liles has been selected for the Atlantis US Sevens Rugby in the 2017 Barbados World Sevens Invitational Tournament from the 6th to 12th of December. Good luck Alex! Liles will be joining a team of 12 US Elite Rugby Players. Atlantis has traveled to 33 countries in 31 years and has developed 102 US Eagles. 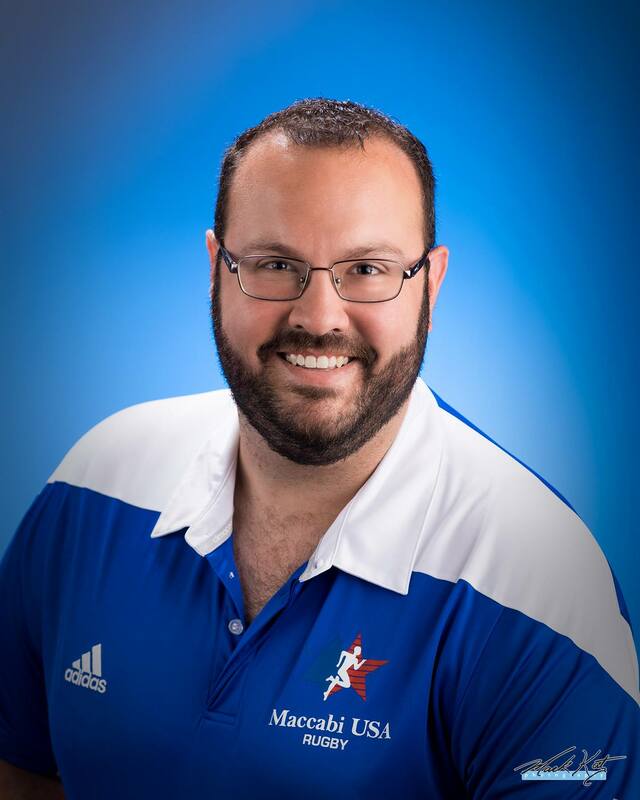 HURT’s Daniel Whetzel has also been selected as the Head Manager for the Atlantis Men’s Elite Invitational Side. Congratulations to both men. The HURT family could not be more proud. Fullback Alex Liles‘ hat-trick propels HURT over the Woodlands in their first cup match of the season. 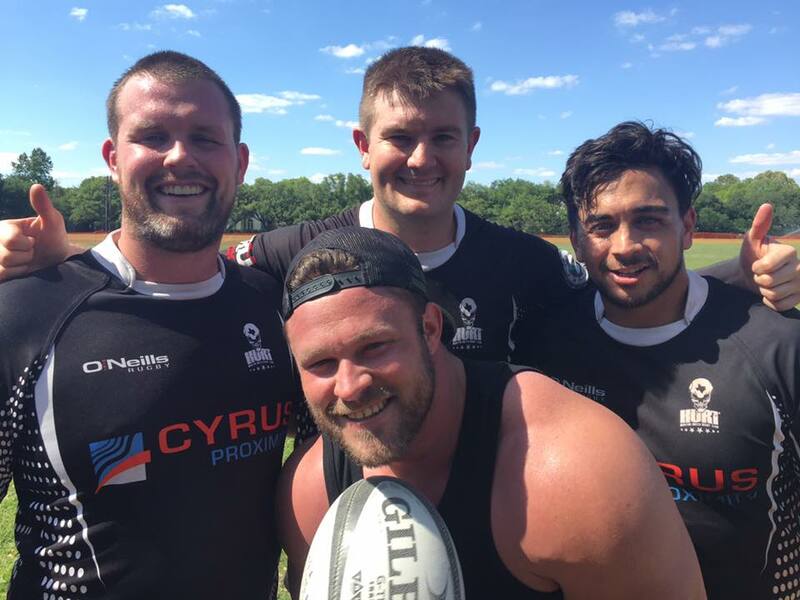 Congratulations to the Jersail Mccullum,Zack Thomas, Nevin Whalley, Shawn Rice, Matt Kaufman and Ryan Becker in their first match and win with the HURT XV’s squad! Great win, gents! ***ATTENTION PLAYERS*** Training has been canceled for tonight’s training (10/23) due to the heavy rain yesterday. 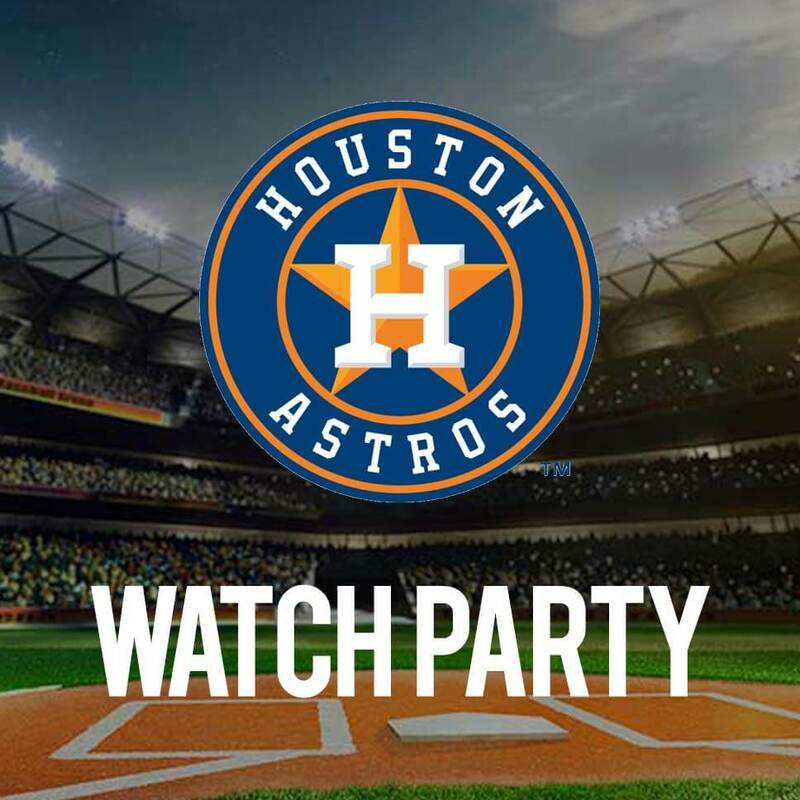 Also, training Wednesday (10/25) has been moved to The Railyard Houston to cheer on the Houston Astros in the World Series! All are welcome to attend! HURT Training begins Wednesday, October 11th at The Regis School of the Sacred Heart at 7:30pm. Training will be every Monday/Wednesday at 7:30pm until further notice. Come and join HURT for the 2017-18 season as we battle to defend the South Division championship in the RRRC D2. *UPDATE: As of 2018, training has been moved Kerr Park every Tuesday and Thursday. 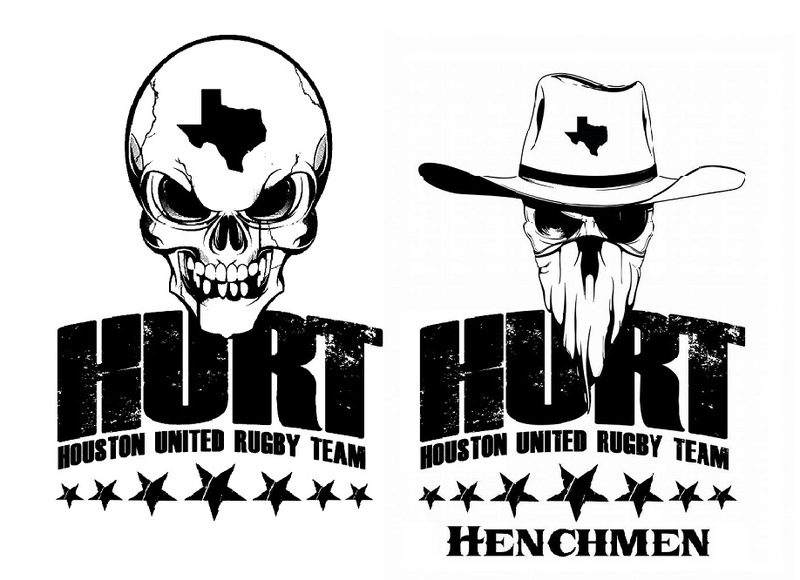 The Houston United Rugby Team fields two sides: HURT (D2) & the Henchmen (D3). The 2016-17 season was another great year for the club as HURT (8-0) went undefeated in league-play for the second straight year, and the Henchmen (8-1-1) had another stellar performance in their second season. 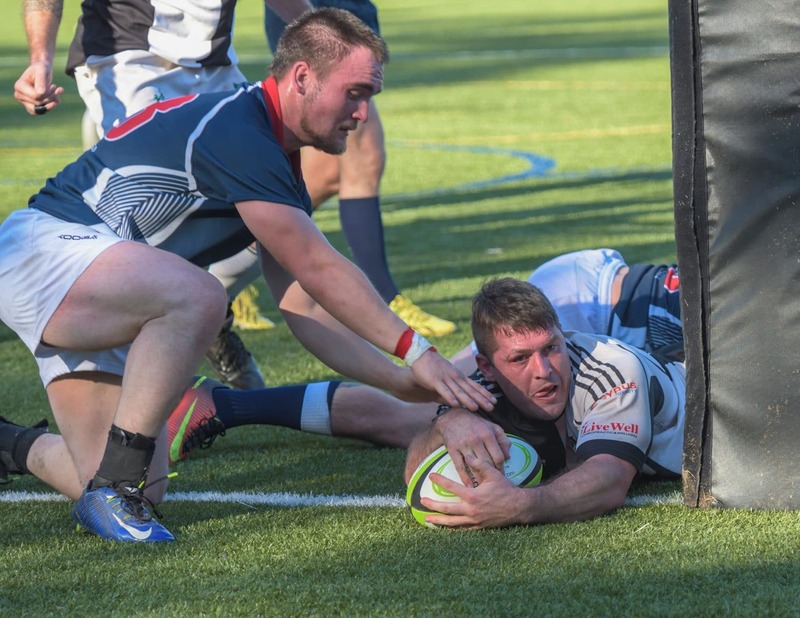 Both teams advanced to the playoffs but came up short during the RRRC championship weekend. 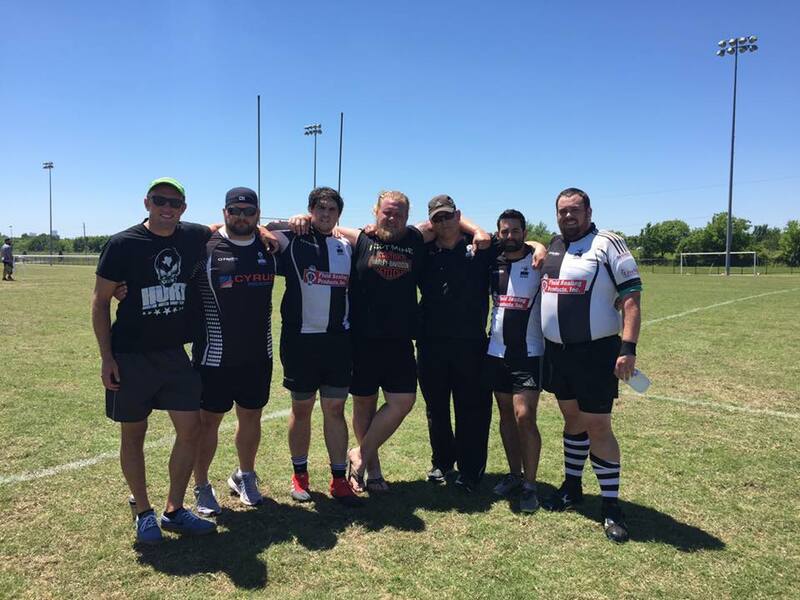 HURT & Henchmen will continue to strive to be a powerhouses in Texas rugby. HURT is proud to announce the new Director of Rugby, Zachary Hiller. Mr. Hiller has been a part of the HURT family since its inception in 2012 as a player and officer of the club. 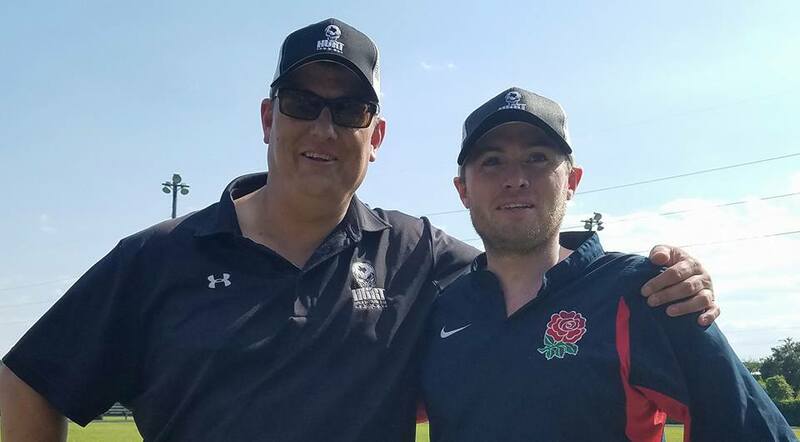 Hiller began his rugby career in 2002 at Washington University Rugby where he became club President and interim coach before his move back home to Texas. Hiller was the manager of the Gold-medal winning Maccabi USA Rugby team for the 2017 Maccabiah Games in Israel. Earlier this year, he was inducted to the Ronnie Arrow Jewish Sports Hall of Fame for his achievements in rugby, football and swimming. Hiller also brings his passion for philanthropy as seen in his involvement as a coach for the Blondes vs. Brunettes Houston fundraiser that has raised over a million dollars for Alzheimer’s research. We are privileged and excited to have Zack in this leadership position for HURT. 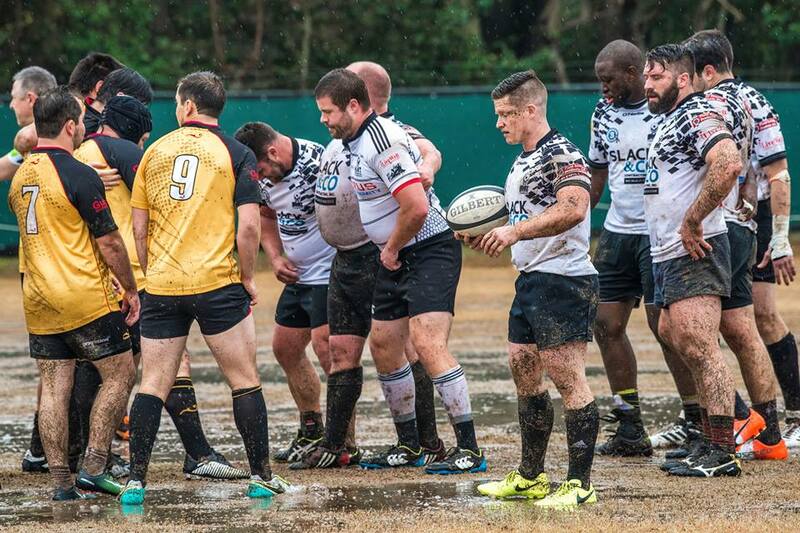 The Houston United Rugby Team is hosting their annual “first practice” for the 2017-18 season at Fifty Fifty Acorn Golf on Thursday, October 5th from 7-9pm. This meet & greet event is a great opportunity for new and prospective players to come meet other HURT players and learn more about the club. Training coming soon! LIKE our official Facebook page to stay up-to-date with news and announcements! 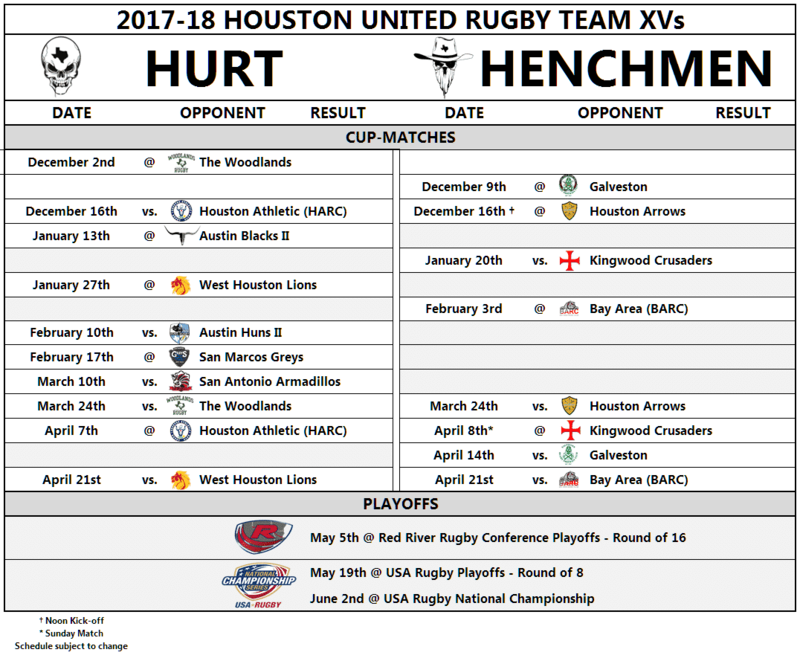 Houston United Rugby Team’s 2017-18 schedule. HURT will play 10 matches whereas the Henchmen will play 8 matches with HURT facing off against central division opponents for the first time. Dates are subject to change. 2017 BLOODFEST OPEN CUP CHAMPIONS! 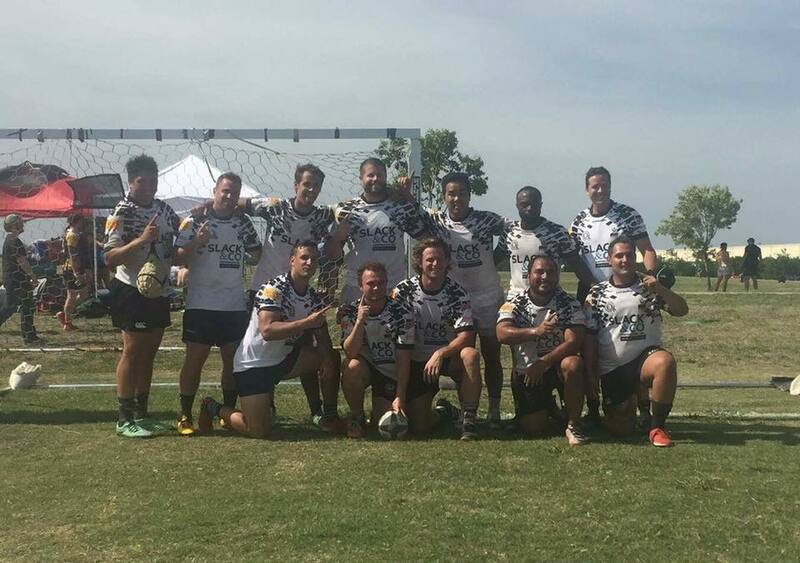 HURT Sevens are the 2017 Bloodfest Men’s Open Cup Champions! Way to represent and make the HURT family proud! HURT Sevens has begun! Join us at the Tony Marron Park every Tuesday and Thursday for training at 6:30pm. All experience levels are welcome to attend. Whether you’re new to the HURT family or rugby Sevens, join us for what is sure to be a great summer season! HURT enters the half with an 11-6 lead. However, 5 minutes into the second-half, HURT suffered a red card due a retaliation altercation with a Tulsa player. Despite being down a player, HURT led the match in the final 10 minutes. Unfortunately, Tulsa was able to capitalize and regain the lead with two penalty kicks. 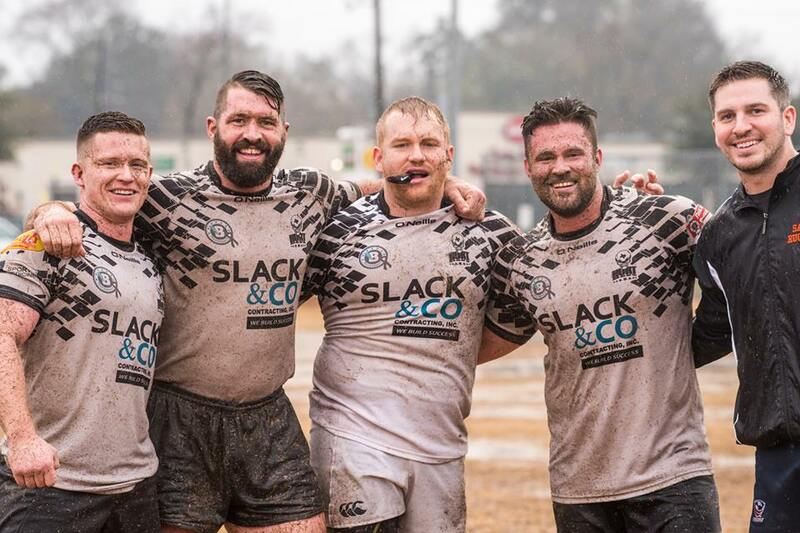 Congratulations to the Tulsa Rugby Club and good luck on Sunday. In the D3 match, San Marcos’ back-line exposed the Henchmen and pulled away with the win early. The Henchmen held their heads high and demonstrated a lot of heart and were able to punch in a try in the final minutes. Congratulation to HURT and Henchmen to another great season. See you all next year! And don’t forget, HURT Sevens start up in June! Check back for announcements and updates. 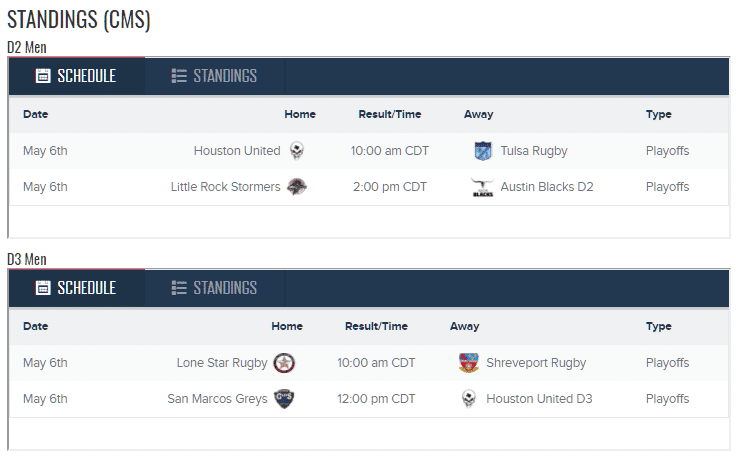 HURT locks the #1 seed heading into the D2 RRRC playoffs in Tulsa, Oklahoma on May 6th-7th. UPDATE: The HURT Henchmen (8-1-1) are officially the #4 seed of D3 RRRC and are headed back into the playoffs with HURT D2! D2 RRRC: For the 5th consecutive year, HURT is the RRRC D2 South Division Champions! HURT continues its undefeated season with a solid victory over a very tough and hard hitting Woodlands squad. 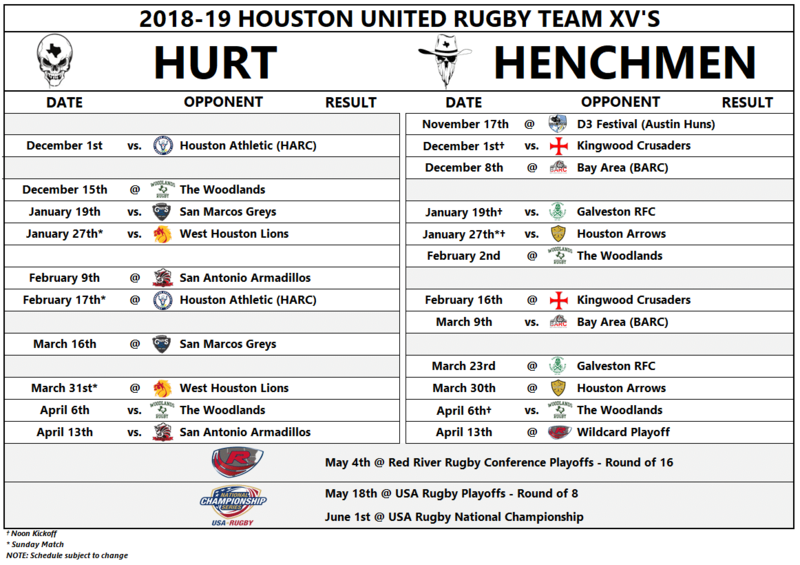 Seeding for the playoffs will come down the last match as HURT will travel up I-45 for a rematch with The Woodlands Rugby Club. HURT will look to lock up the #1 seed with a win. 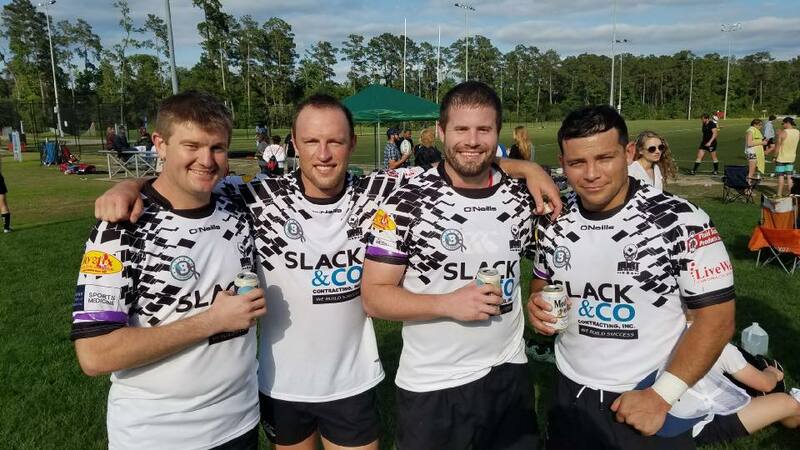 D3 RRRC: Congratulations to the Lone Star Rugby Club for capturing the D3 South Division Championship away from the HURT Henchmen. Despite the loss, the HURT Henchmen are still in contention for the #4 wild card seed. Playoff match-ups and seeding will be announced by the TRU as matches continue to be played in the final weeks of April. We will be sure to keep the Houston fans up-to-date as playoff details are released. *Per the match report, the final score vs. The Woodlands on April 8th was 50-10. Special thanks to Baylor College of Medicine Sports Medicine for providing trainers for the match and Darwin’s Pub for hosting the post match festivities. Training has been moved to the The The Regis School of the Sacred Heart beginning this Tuesday, April 4th. Training will continue to be held from 7-9pm on Tuesday/Thursday until further notice. Special thanks to Baylor College of Medicine Sports Medicine for their fantastic trainers on the sideline. And thank you to the The Railyard Houston for hosting the post-match festivities! 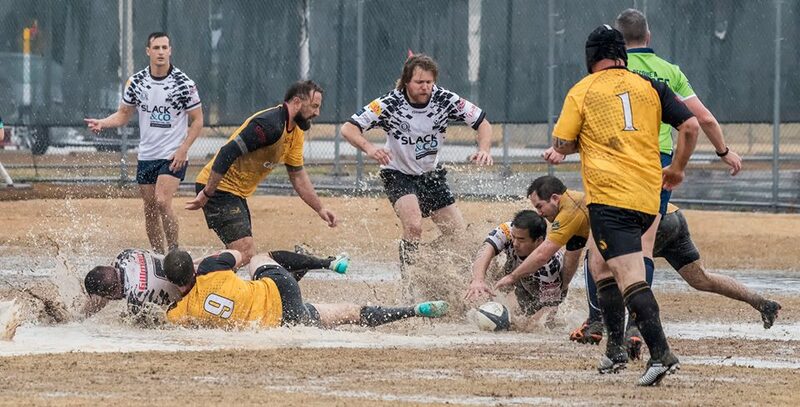 Despite down a man heading into the second half in a 7-7 game, HURT surged in rainy conditions to secure the top spot in the South Division of the RRRC. Special thanks to Baylor College of Medicine Sports Medicine for providing the trainers on the sidelines. And shout out to The Railyard Houston for hosting the post match social. 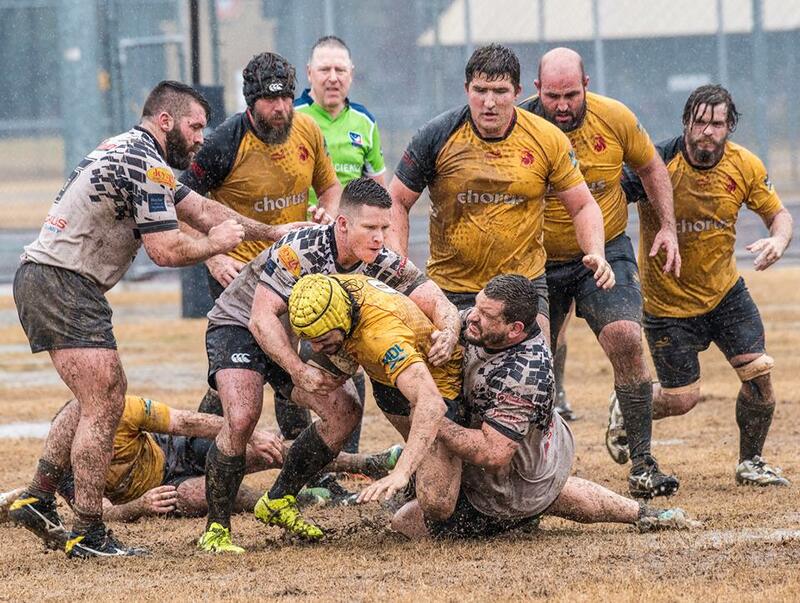 The Henchmen continue their unbeaten streak and overpower the Bay Area Rugby Club, 71 to 17. Special thanks to Bay Area for always bringing a tough side and a hard-hitting match. This Saturday, February 25th, is a rematch of HURT Henchmen vs. Arrows RFC. The first time these two clubs met was back in November where the Henchmen narrowly defeated the Arrows RFC, 14-10. 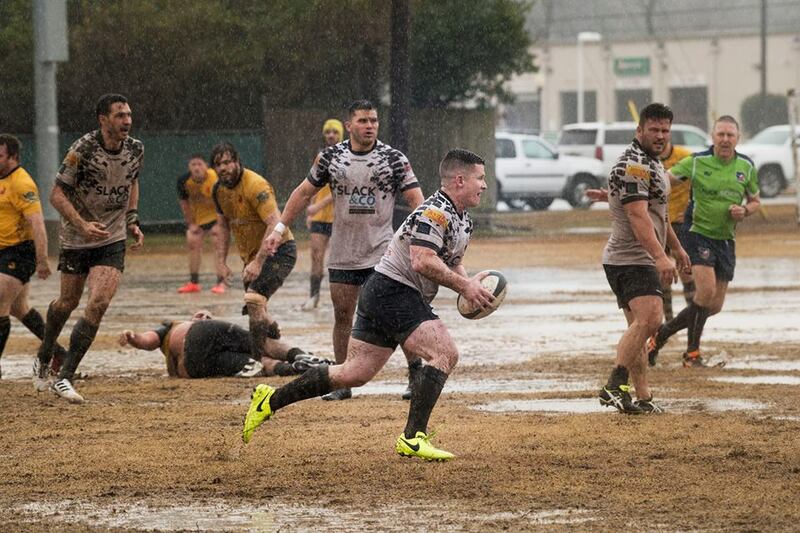 Kick off is 2pm at the Rice University Rugby Field off Rice Blvd. and Stadium Rd. Don’t miss it! Visit IPLAYHURT.com for further details. 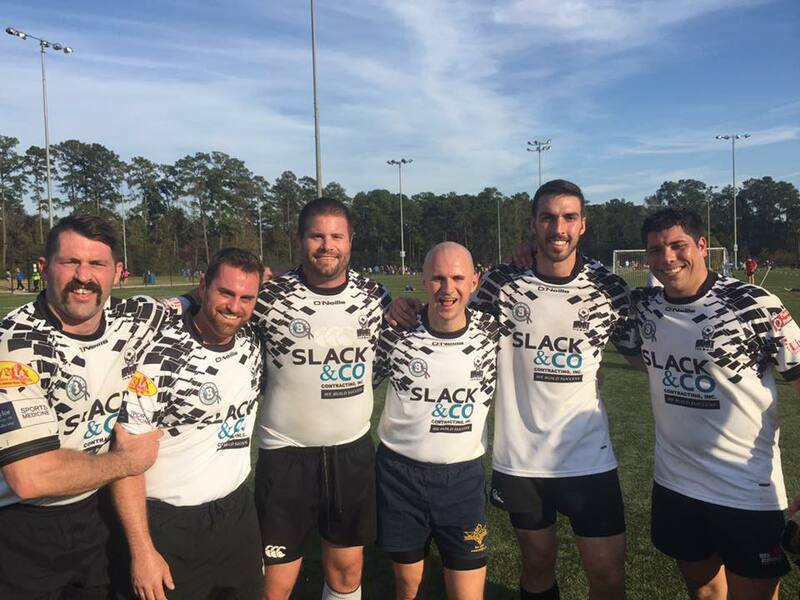 Special thanks to Baylor College of Medicine Sports Medicine for supporting the fantastic trainers for the rugby doubleheader. 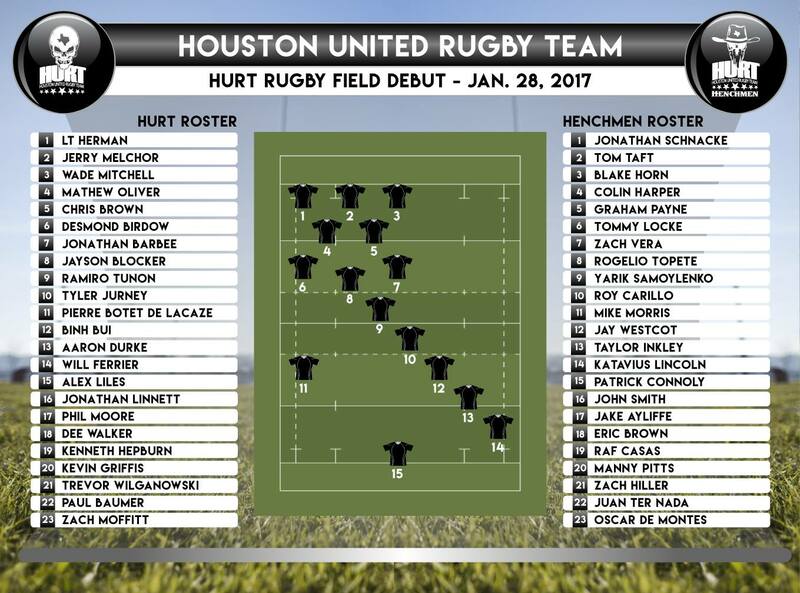 The Houston United Rugby Team proudly introduces the HURT and Henchmen lineups for the debut of the HURT Rugby Field! 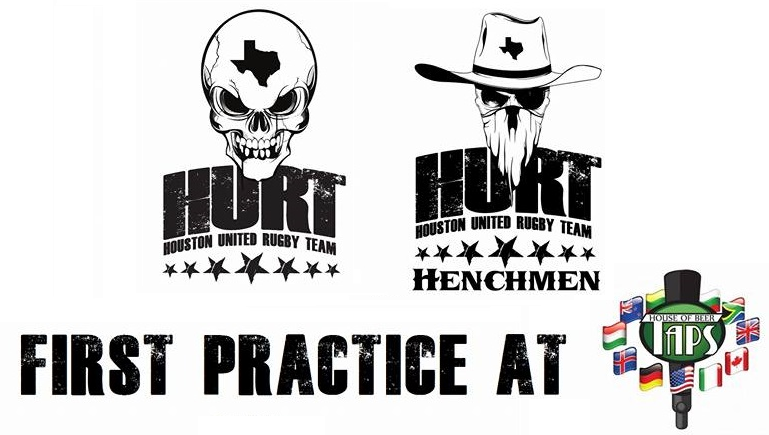 For further information, visit the Rugby Doubleheader: HURT vs. San Antonio & Henchmen vs Galveston Facebook event. 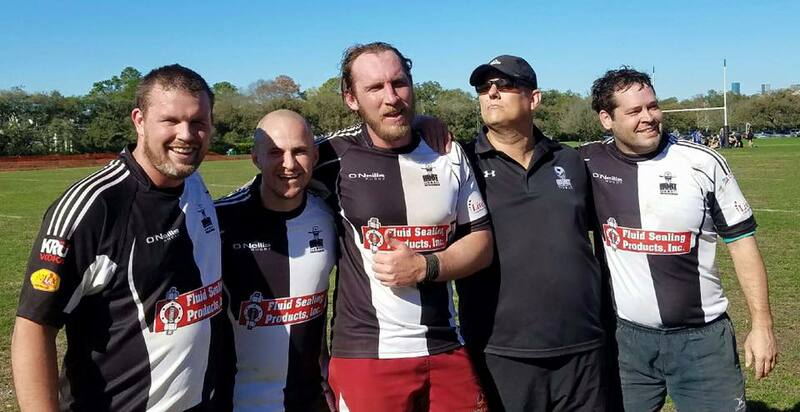 The Henchmen demonstrated miles of heart as they were down 14 points with 8 minutes left in the match versus Lone Star Rugby Club. Late game heroics by the Henchmen scrum provided clean ball for #8 Kevin Griffis to rumble in for the tie’ing score with no time remaining (pictured below). Special thanks to Lone Star for a tough, hard-hitting match. We look forward to the re-match in April. Join us next week for the second doubleheader of the season that debuts the new HURT Rugby Field! The Henchmen will kick-off at 12:30pm against the Galveston Rfc in a D3 matchup; followed by HURT versus the San Antonio Rugby F.C. in D2. In what hopes to become an annual event, the two biggest and most prominent clubs in Houston battled it out over the first weekend of the new year. HURT appeared to be in mid-season form as they overwhelmed HARC with a 43-7 final score. Special thanks to the HARC for hosting the match and good luck in your upcoming season. 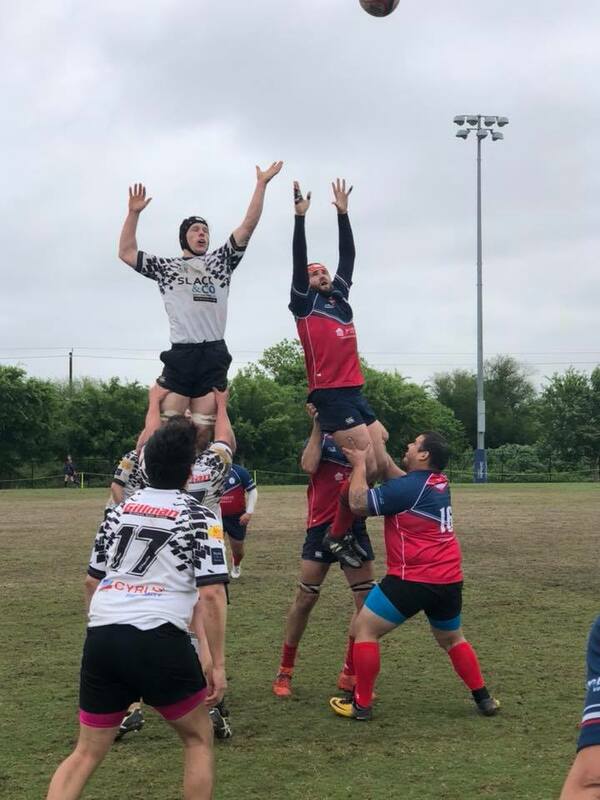 Next match will be back to league-play as HURT looks to improve to 2-0 as they travel to San Antonio and take on Alamo City RFC. 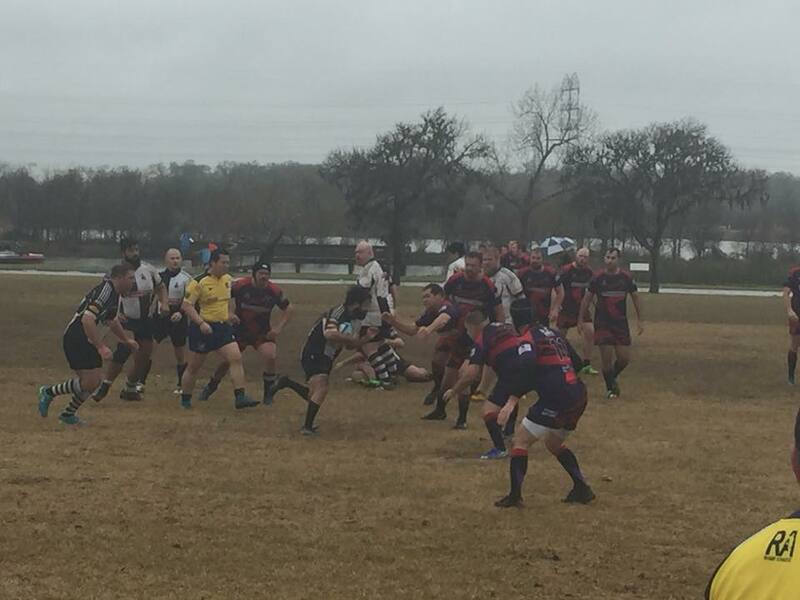 The D1 Houston Athletic Rugby Club – HARC will host the D2 Houston United Rugby Team – HURT on Saturday, January 7th at the former British School of Houston. 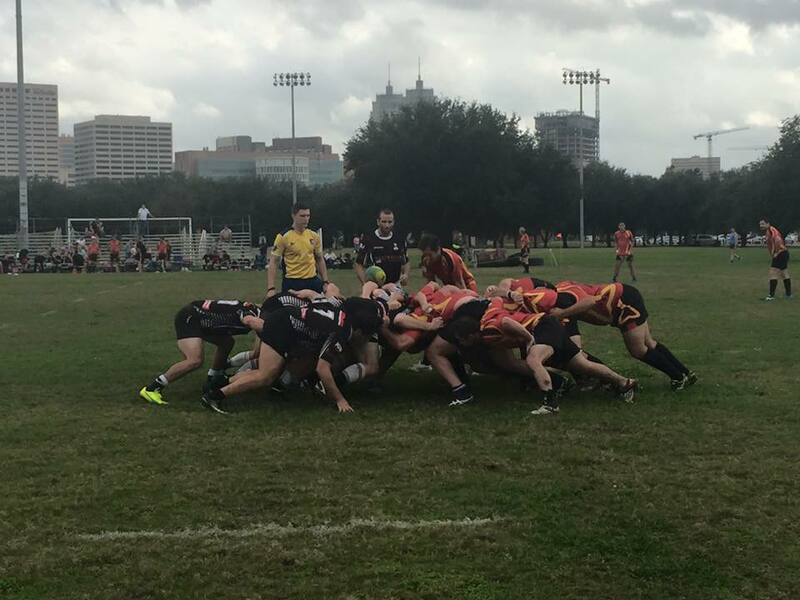 Bragging rights are on the line as the two most prominent rugby clubs in Houston clash in what is expected to be a very competitive match! The match is a friendly and will consist of 40 minute halves with rolling subs of a 23-man roster. Attendance is free and all are welcome to attend. 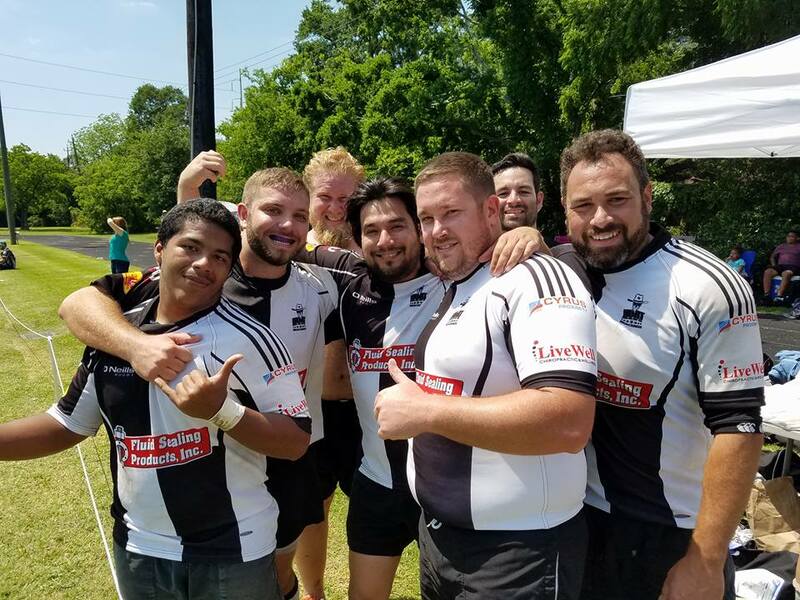 Join us in supporting Houston rugby! See the Facebook Event for details. 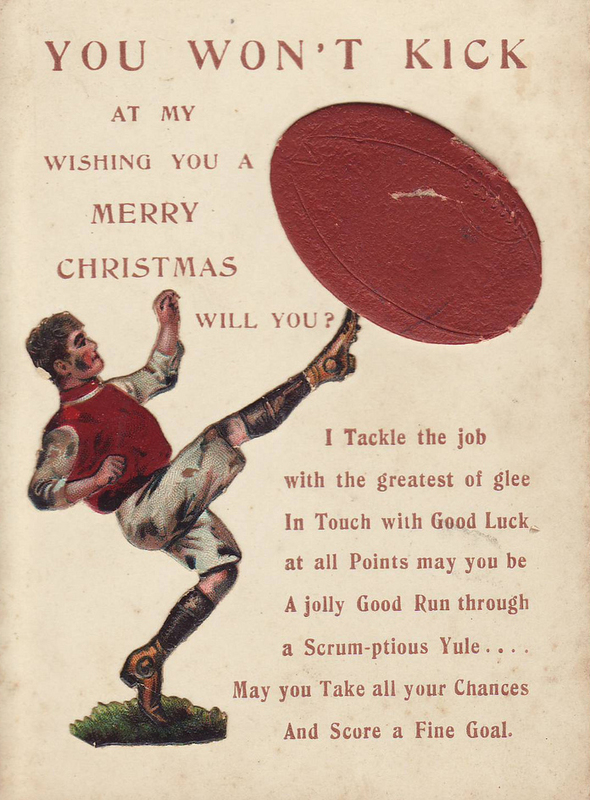 The HURT family would like to extend a very Merry Christmas and Happy New Year to all our fans, friends and family. 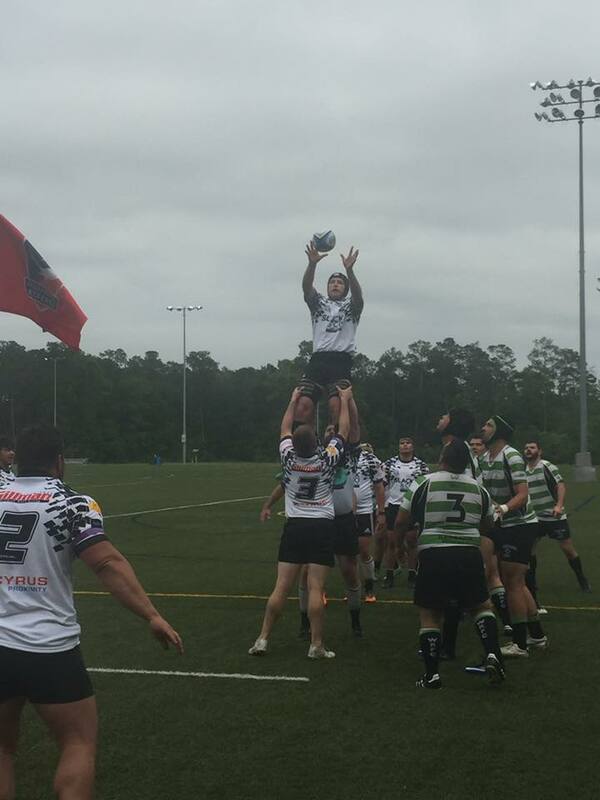 2016 was a very successful year for the Houston United Rugby Team and 2017 will be no exception. Training will resume January 5th. Location of practice will continue to be 4211 Watonga Bvld until announced otherwise. From the opening kick-off, the Henchmen started strong and did not let up. The forwards were in control of the rucks and set pieces while the backs put up a big number on the scoreboard. Credit to the Kingwood Crusaders as they played hard for the entirety of the match and special thanks for hosting a great post-match party at the ZZ Gator Cove in Humble. Next match will be the first HURT doubleheader of the 2016-17 season. 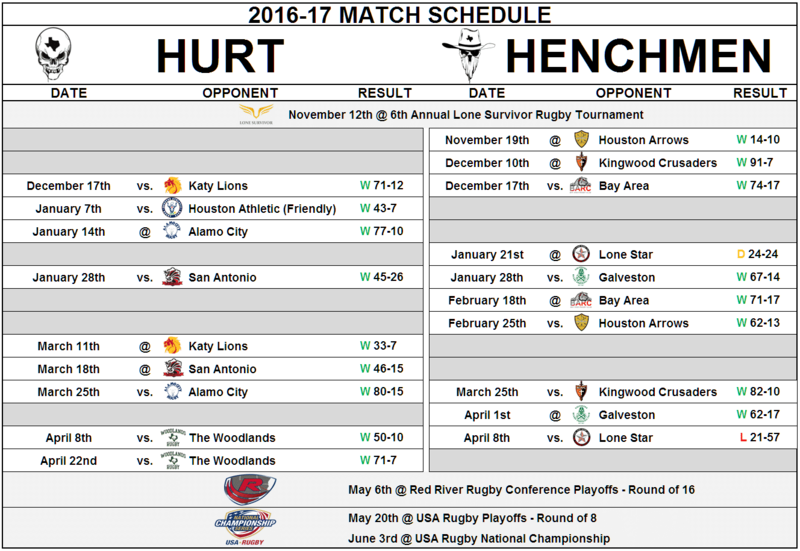 The Henchmen will kick-off against the Bay Area Rugby Club in a D3 matchup; followed by HURT versus the Katy Lions Rugby in D2. Post-match festivities to be held at Taps House of Beer. Visit the Facebook Event for further details. Over the weekend, the HURT Henchmen held on to win the first cup-match of the 2016-17 season with a final score of 14-10 over the Arrows RFC. In a very close and competitive match, the difference was a goal line stand by the Henchmen in the final moments of the match with two men down. Credit to the Houston Arrows for bringing the fight to the defending South Division champions. This looks to be the start of a great rivalry between our two clubs. Special thanks to the great hospitality of the Western Academy for hosting the post-match festivities. Pictured above is the Henchmen captain, Tommy Locke, as he aims to break through the Arrows defense. The cup season kicks-off this Saturday at 12pm as the Henchmen battle the newly founded Arrows RFC at Western Academy. Last season, the Henchmen captured the D3 South Division title as they went undefeated in league-play. However, after a disappointing early exit in the playoffs, the Henchmen will look to build on their inaugural season’s success and continue to be a contender in the South Division and beyond. 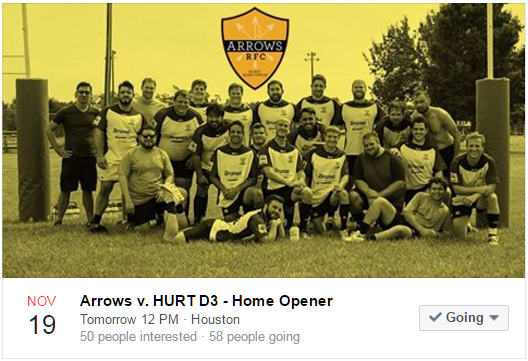 Join us in welcoming the Arrows to the RRRC in their home opener. For further details, click on the image below to open the Facebook invite hosted by the Arrows. Training for the HURT & Henchmen rugby season has begun! Practice is from 7-9pm every Tuesday & Thursday. Boots on at 7pm. Join the HURT Facebook group to stay up-to-date on any changes/updates/cancellations on training and matches. While the new HURT training grounds are currently under maintenance, practices will temporarily be located at 4211 Watonga Blvd. (formerly the British School of Houston). Training will be held Tuesdays and Thursdays from 7 to 9pm. The new HURT training grounds (shown below) are in close proximity to our temporary practice field. If you have any questions, please do not hesitate to ask. See you at training! HURT’s annual “first practice” will be held at Taps House of Beer on Tuesday, October 4th starting at 7pm. This will give prospective players the opportunity to meet the coaches and players of our club. LIKE the HURT Houston page on Facebook to stay up-to-date with any updates. UPDATE: Join the Facebook Event! Accept, Share, Invite! See you all there! 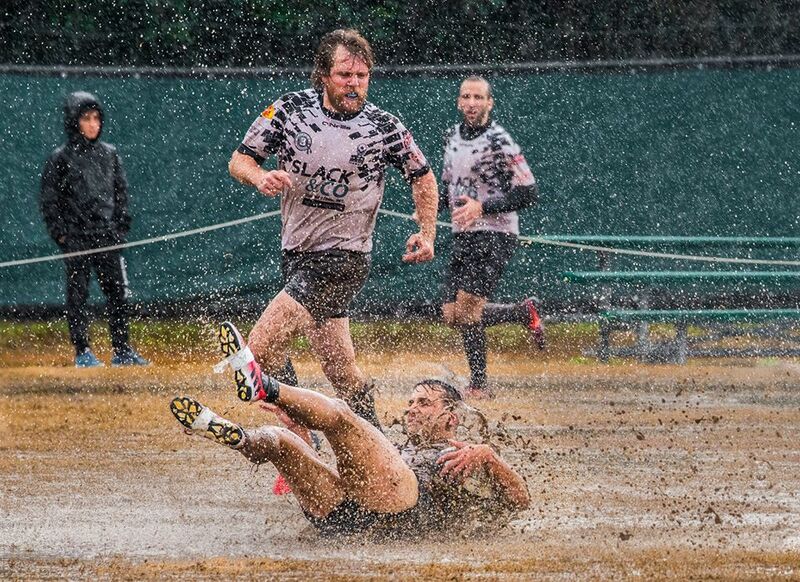 In rainy and wet conditions, HURT sevens started the tournament with a record of 2-1 in pool play with their only loss coming from the Bonobos. 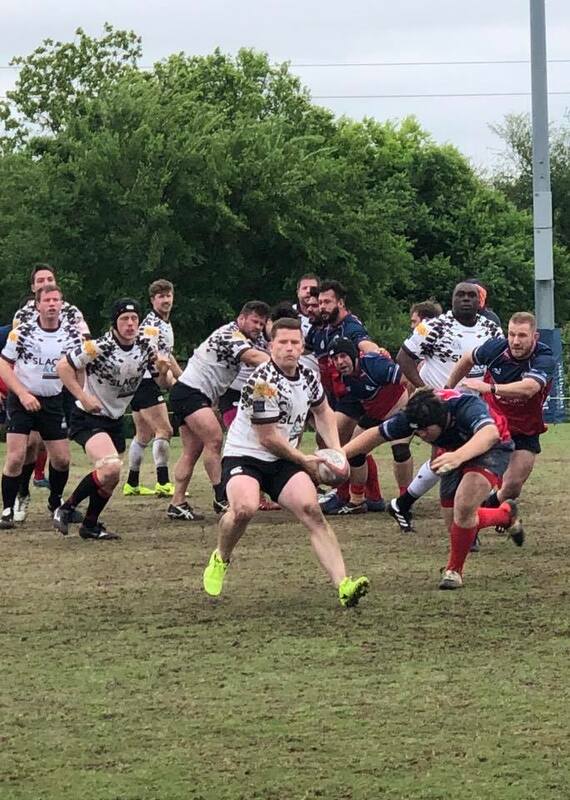 HURT advanced to the Cup Semi-Final where they defeated the Austin Huns 24-19. The Cup Final saw a rematch between HURT and the Bonobos. Down 19 at halftime, HURT stormed back to force extra time and ultimately captured the Cup Final by topping the Bonobos, 41-36. Well done, HURT! Great way to start the Sevens season. 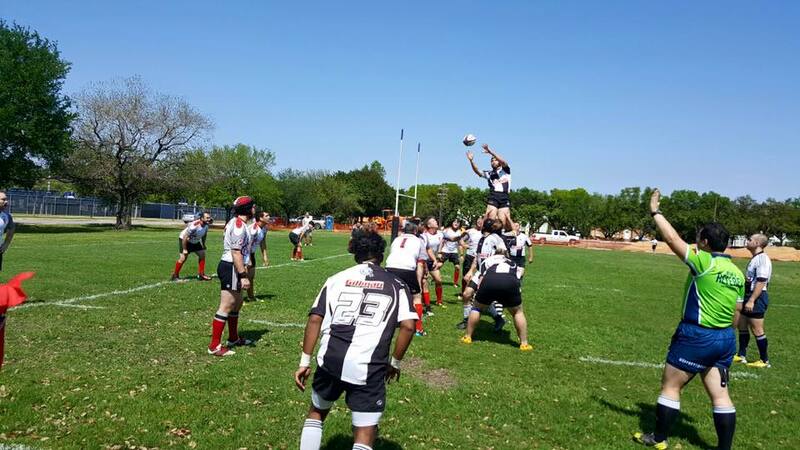 As the XV’s season ends, Sevens rugby begins! 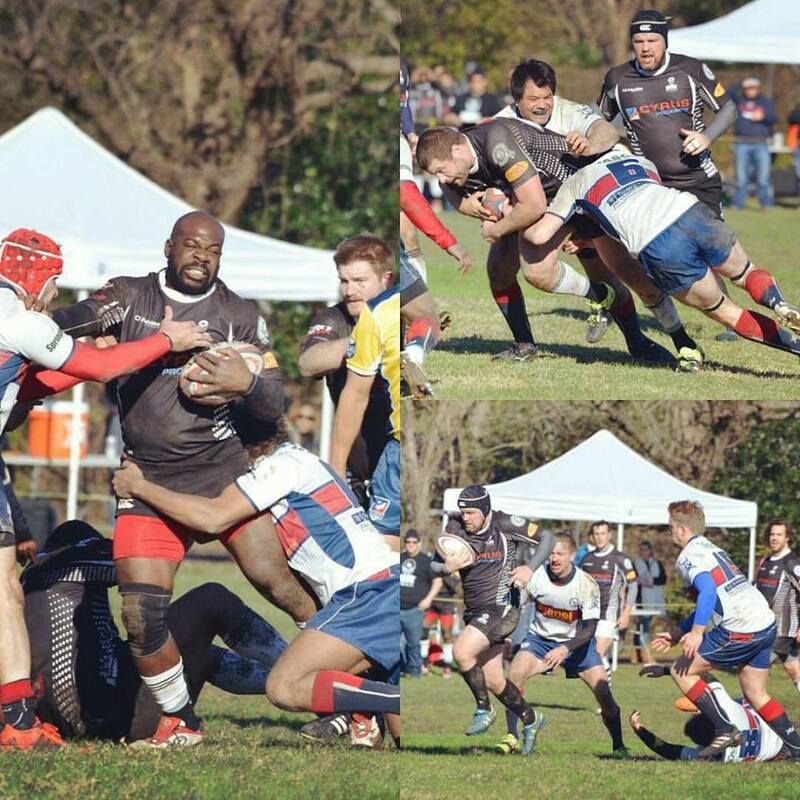 HURT Sevens rugby training begins Thursday, May 26th at Tony Marron Park, 808 N. York St. Houston, TX 77003. Training starts at 6:30pm every Tuesday and Thursday. For any additional questions, please contact Justin Blocker (281) 961-7508. Join the HURT Sevens Facebook group for the most up-to-date information on practice and tournaments. 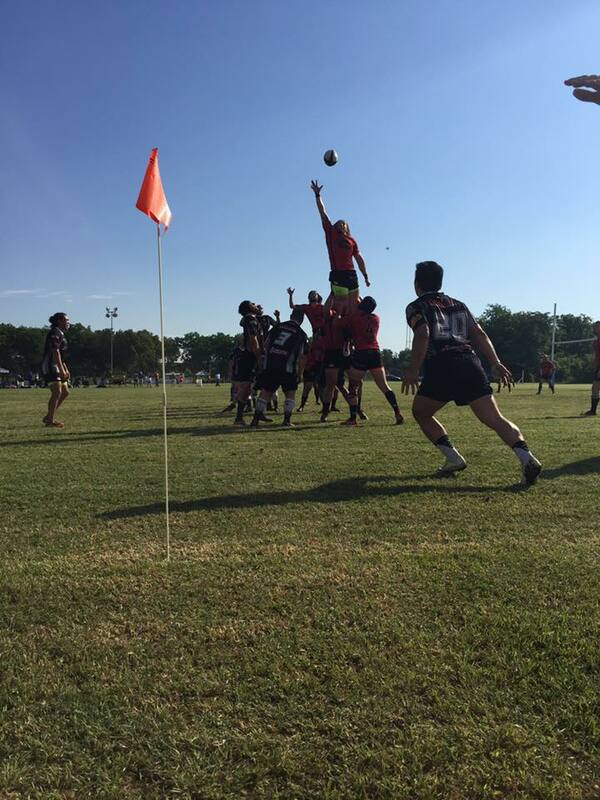 After defeating the Dallas Red in the Red River Rugby Conference Semi-finals, HURT battled Little Rock for the Championship. Unfortunately, HURT’s pursuit for a conference championship fell short. This loss was a tough one to swallow. However, HURT should be proud of being a top 16 D2 club in the nation, an undefeated regular-season and a 4th consecutive South Division title. The 2015-16 season is one to remember. Good luck to the Little Rock Stormers as they continue on to the national championships. Coaches of HURT and the Henchmen, Rob Potter and Dan Green. 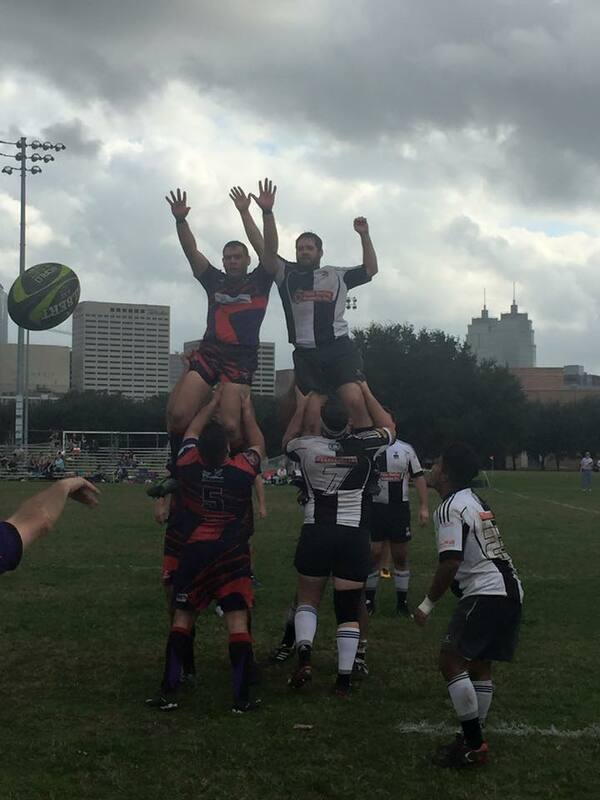 The success of the Houston United Rugby Team is possible because of all your hard work, dedication, and contributions. Cheers. 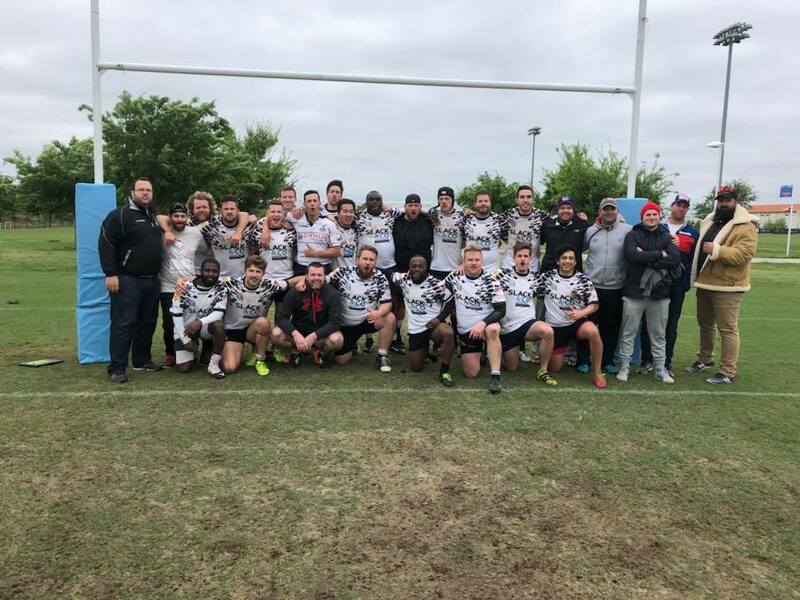 The Henchmen suffer their first loss to an experienced and disciplined Austin Blacks (D3) in the RRRC semi-finals in Austin, TX. 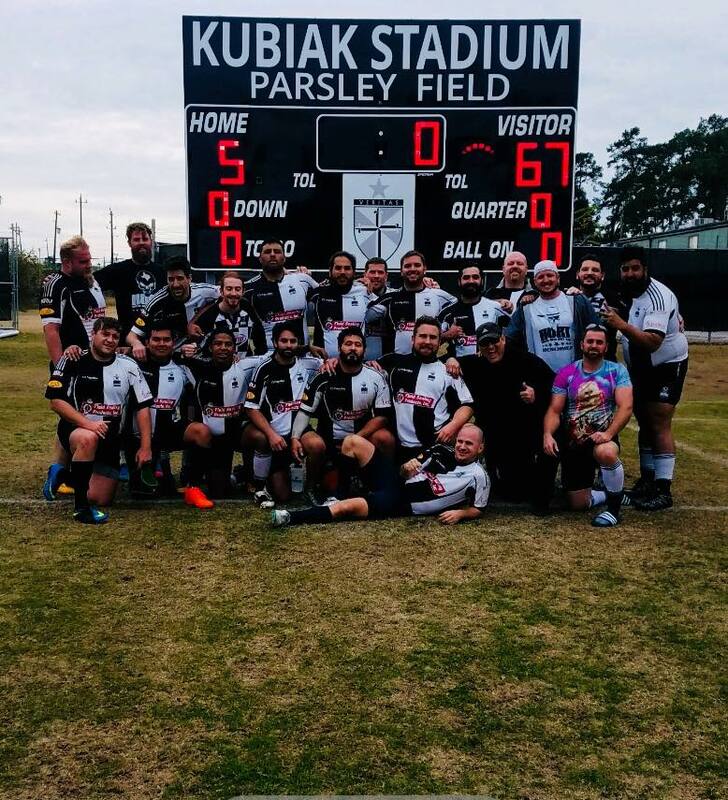 Although the year did not end the way the Henchmen wanted, going undefeated and winning the South Division title in the team’s inaugural season is something to be tremendously proud of. If the Henchmen can accomplish all those things in its first year, imagine what the team can do in the years to come. Great season, Henchmen! The playoff schedule for the RRRC Championships have been announced. The semi-finals will take place on May 7th and the Championship on May 8th. Check the TRU Website for further details. 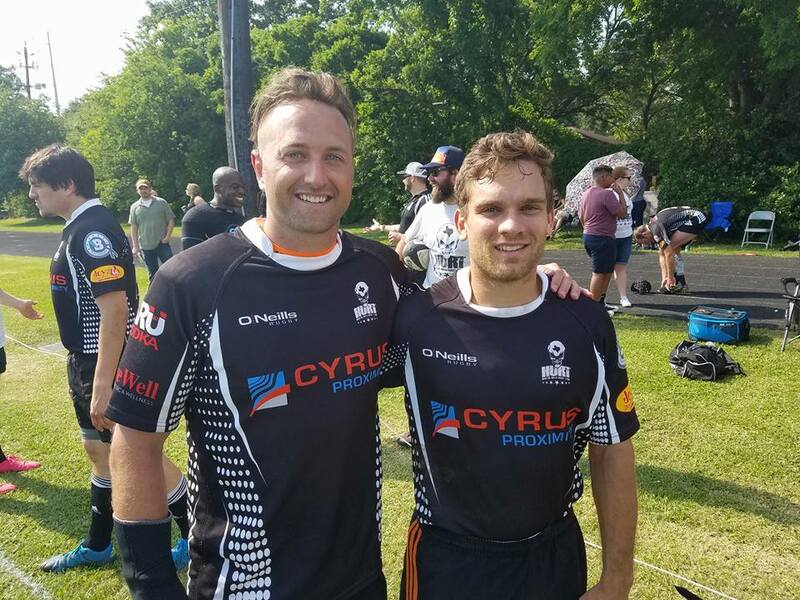 HURT (D2) and the Henchmen (D3) end their season with a combined record of 20-0 in two divisions of rugby competition. Both teams have their eyes set on the playoffs which will take place in Austin, TX, May 7th & 8th. 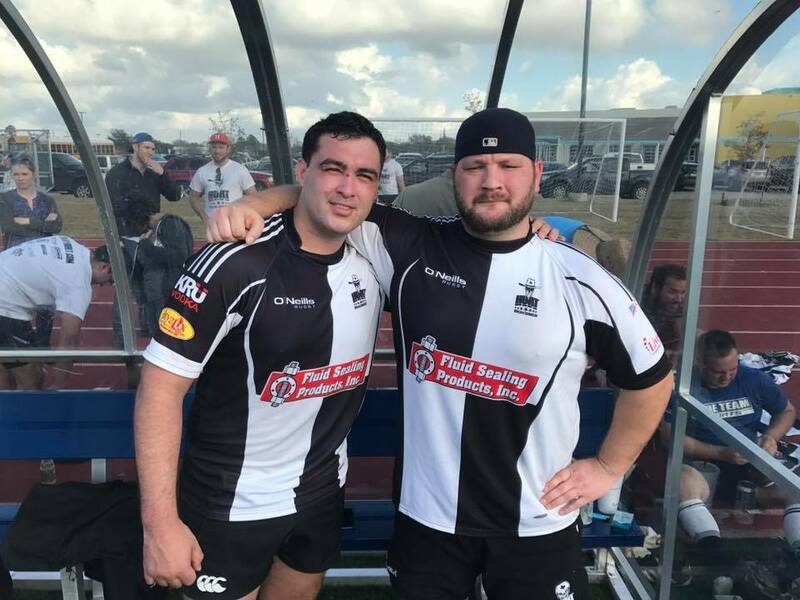 HURT backs (pictured above) Andrew Haskell and Jadeon du Toit scored 6 tries between them in the win vs. the Woodlands. Since the club’s inception in 2012, HURT remains undefeated at home with a combined record of 18-0. This season also marks the 4th consecutive year that HURT has won the south Division title of the RRRC D2. Winners are grinners… again! In their inaugural season, the Henchmen are the South Division champions of the RRRC D3 with an undefeated record of 12-0. Big special thanks to the coaches of HURT, Dan Green and Rob Potter. The club’s success is credited to these two individuals as they have dedicated themselves to this club and the HURT family. Cheers to you both! For the fourth consecutive year, HURT are the RRRC D2 South Division Champions! 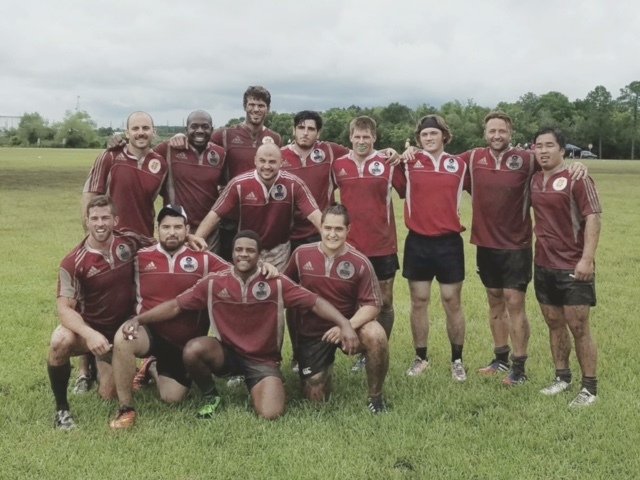 Born out of the success of the past two seasons, HURT’s developmental squad has been accepted into the Division III of the Red River Rugby Conference. 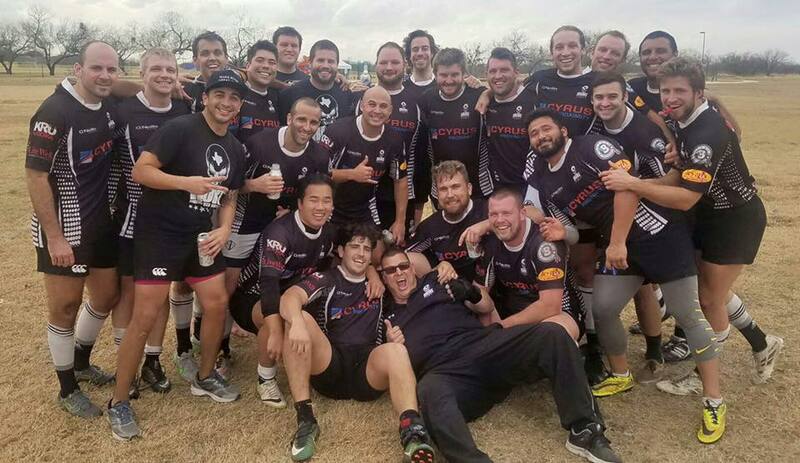 Welcome to Texas rugby, HURT HENCHMEN! 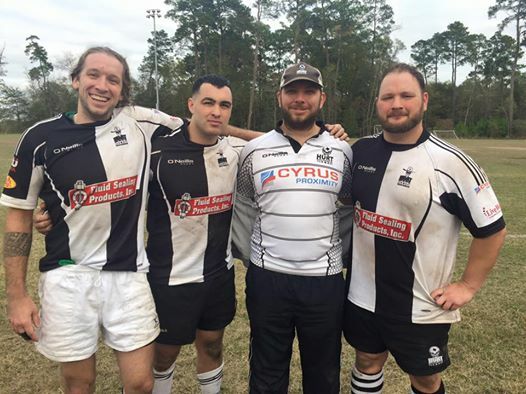 The Henchman will join Woodlands (D3), Bay Area Rugby Club, Kingwood, Galveston, Lonestar and Corpus Christi in the newly formed D3 South. McAllen, San Marcos, San Antonio (D3), Austin Blacks (D3) and The Horde will form D3 Central. 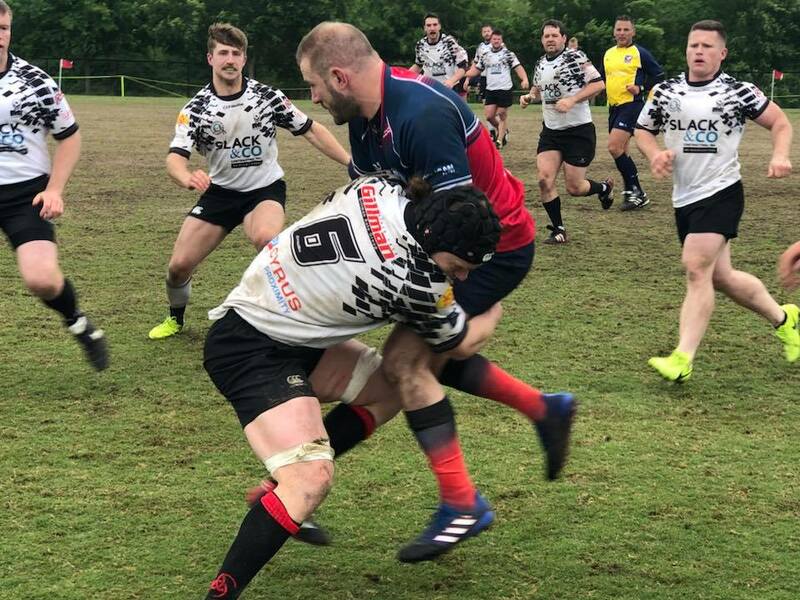 HURT will continue to field their first-team in Division II of the RRRC as they defend their South Division championship.